Pahrump is a town located in the southeast corner of Nye county Nevada. It is about 60 miles west of the famous Las Vegas Nevada, and about 60 miles east of Death Valley. With a population of about 38,ooo, Pahrump is one of the fastest growing valleys in Nevada. 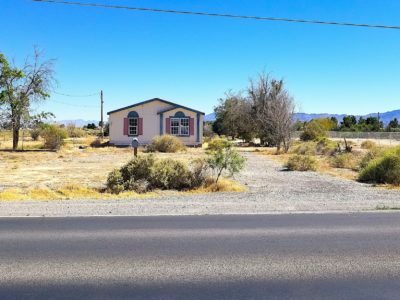 If you are looking for a small town feel, but still want to be close to the big city, Pahrump is the place for you!!! It is a wonderful place to raise a family, or retire to. Long time residents of Pahrump have seen this town grow so rapidly. Just about 15 -20 years prior Pahrump only had 1 very small grocery store, no traffic lights, and 1 gas station. It has evolved into a little city. With many attractions Pahrump brings in people from all over the world. As there are many activities to do and see in Pahrump and surrounding areas. I recently asked many current residents here what their favorite part is about Pahrump. Many of them said, “Waking up to the mountain views” others said, “The weather is beautiful!!! Pahrump is a one of a kind place, and is growing more and more everyday. If you are looking to move to the area we have many Realtors that are very familiar with the area, and would love to assist you. Click here for more information about Pahrump Attractions.